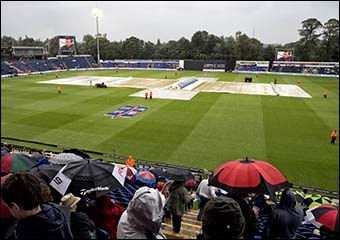 The cricket pitch at The SSE SWALEC is one of the fastest-drying in Britain, thanks to the drainage system installed in 2008. This includes a herring-bone arrangement of channels under the turf, connected to storage tanks. Even after heavy rainfall, the soil drains quickly and the water is speedily evacuated into the River Taff. The system can cope with 30 millilitres of water per hour. Water on the pitch was a common problem in the early decades after Glamorgan CCC made Sophia Gardens its home ground in 1967. (Cricket cannot be played on waterlogged soil, which would severely affect the speed and trajectory of the ball between the bowler and batsman, besides making the surface too slippery for fielders to run on.) Many matches had to be delayed or even cancelled because of water on the pitch, which is on low-lying meadowland alongside the river. The river used to burst its banks occasionally in some winters, but in the 1980s raised embankments, or levees, were installed as part of the city’s flood protection scheme. 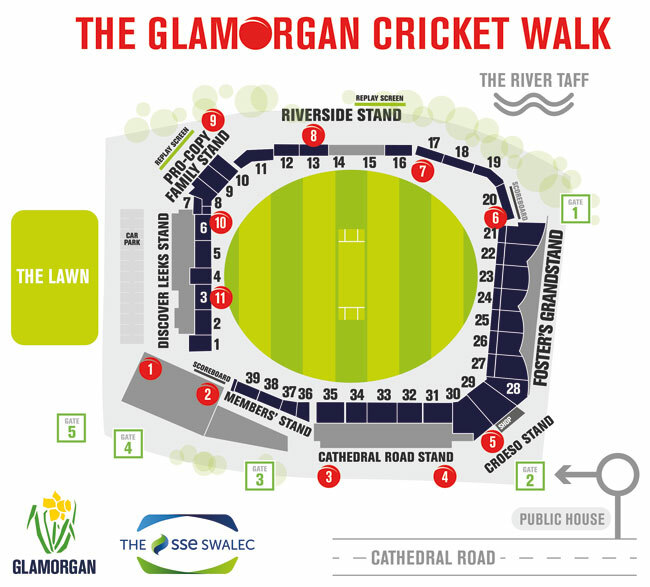 Glamorgan Cricket also has a hover-cover, provided with a loan of £500,000 from the England and Wales Cricket Board. It features an air circulation system, similar in principle to a hovercraft. It can be deployed quickly if rain interrupts a game, preventing the pitch from becoming saturated by the rain. The QR codes for this page are at position no 7 (shown in red) on the map below.